We've just returned from the mountains, which is truly one of my happy places. 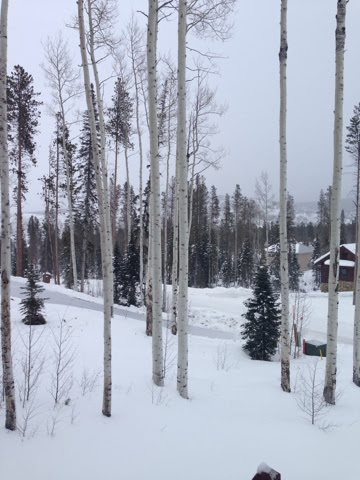 We met John's parents and his brother's family in Winter Park and spent a few days enjoying that winter wonderland with them. 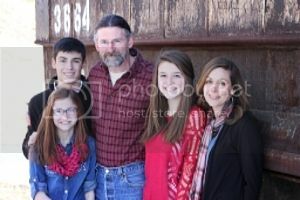 We had planned to stay at a house that John's brother's family stayed in last December, but when we got to the rental agency, they had upgraded us to a different rental. Evidently the people staying at our original house wouldn't leave. Who does that? Our upgraded house was REALLY nice. This was the view from the front porch. We all skied one day. 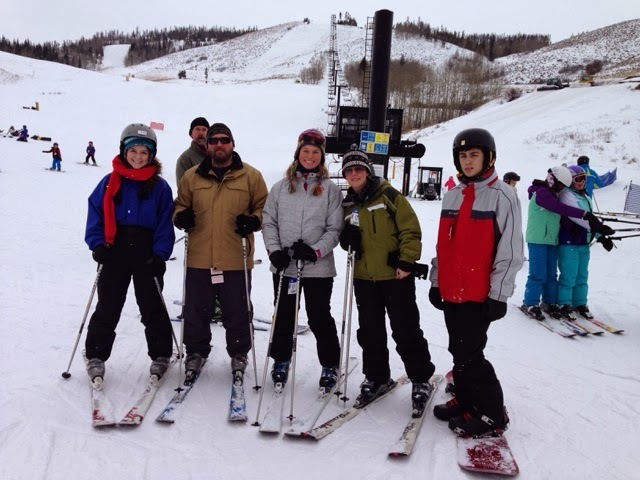 Will decided he wanted to snowboard but the rest of us prefer two skis! I was proud of the girls--they did great. 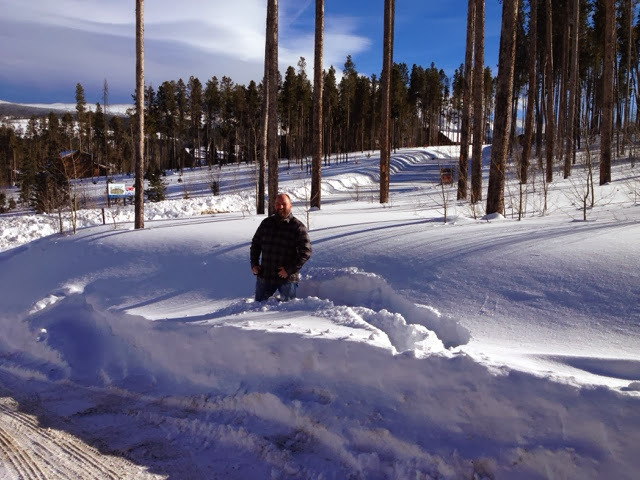 We decided to try the slopes at Granby Ranch instead of Winter Park this year. It's a lot smaller and a lot cheaper and it turned out to be a good choice for the day. We also went tubing one day. 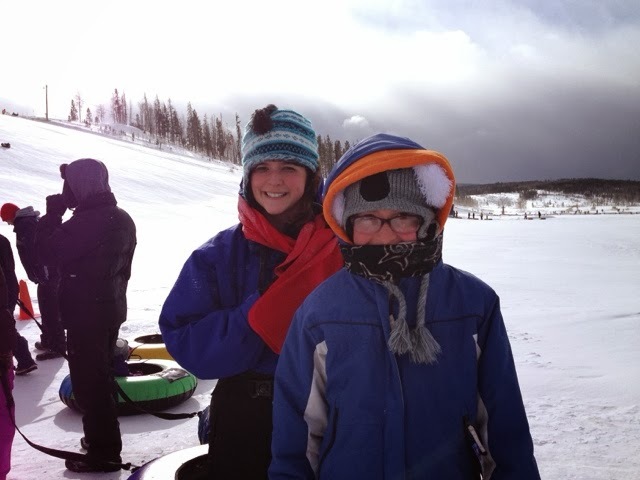 John hurt his shoulder (more on that later) and Will was super sore from boarding so the girls and I joined their cousins for some tubing fun. So fun! 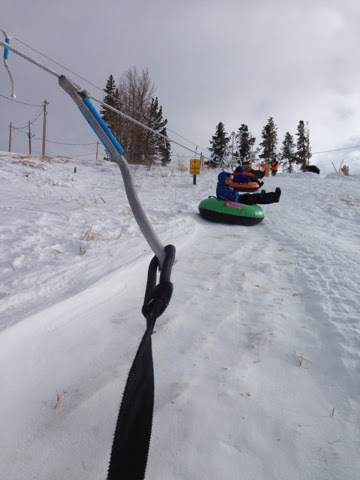 This particular tubing hill has a tow line that pulls you up the hill in your tube. I like it--all play, no work! The last time we tubed at this particular hill was eight years ago to the day! My kids were soooooooooo little but they still remember it. We also did a little shopping, a lot of eating, worked a puzzle, played games, and watched some football. It was a really relaxing time! 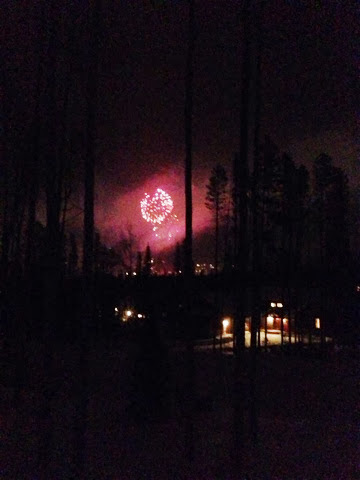 On New Year's Eve we watched the firework show over Winter Park Ski Village from our front porch. Fireworks in January are a little different than fireworks in July--brrrrrrrrrrrrrrr. Equally beautiful and festive though. John's shoulder/arm starting hurting really badly the morning after we arrived and he was in pain pretty much all week. Before we packed up to head home yesterday he agreed to let me take him to the ER. We thought it might be his rotator cuff, but the doctor seemed to think it was a pinched nerve and sent him home with a prescription. He's still pretty miserable but hopefully the meds will start to calm that nerve down soon. 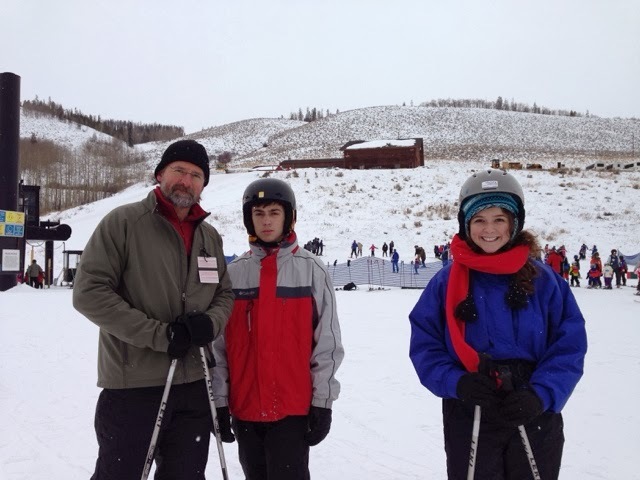 He's a tough guy--even skied with us though he was in pain--so it's hard to see him hurting! Not the way he'd hoped to start the new year. 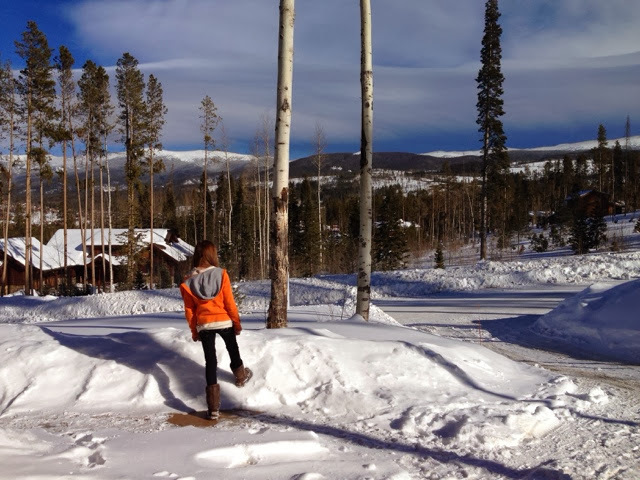 We're happy to be back home, but it sure is hard to say goodbye to the mountains. It's so peaceful and relaxing up there and we loved spending time with our family! Looks heavenly. Yes, the mountains are my happy place, too. With snow, please and thank you!